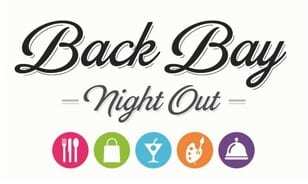 Back Bay Night Out on Wednesday, September 10, 2014! Stop by the Prudential Center on Wednesday, September 10, 2014 from 5-8pm for Back Bay Night Out! Back Bay Night Out is a celebration of Back Bay Businesses and many in-store sales, snacks, special events and more will take place at the Prudential Center and the Back Bay! Also, there will be an outdoor free screening of Confessions of a Shopaholic at the Pru’s South Garden at sundown.